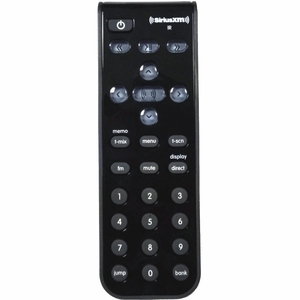 Genuine SiriusXM replacement remote control for compatible XM, Sirius, and SiriusXM radios. Features T-Mix (tunemix), T-Scn (tunescan), bank preset, jump, FM, direct and mute buttons, in addition to pause/play, and forward/back buttons. Universally compatible with most radios (see compatibility list below).